These vibrant Color Grain™ blanks are made from laminated hardwood veneers that are resin impregnated with color. The resin increases the stability and density of the wood. The Bottle Stopper Blanks measure 2" x 2" x 2-3/8" long. 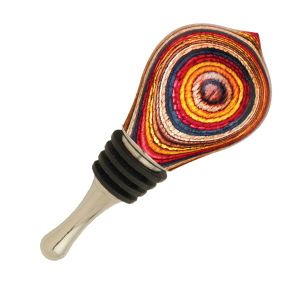 The bottle stopper pictured is made of Festival Color Grain.